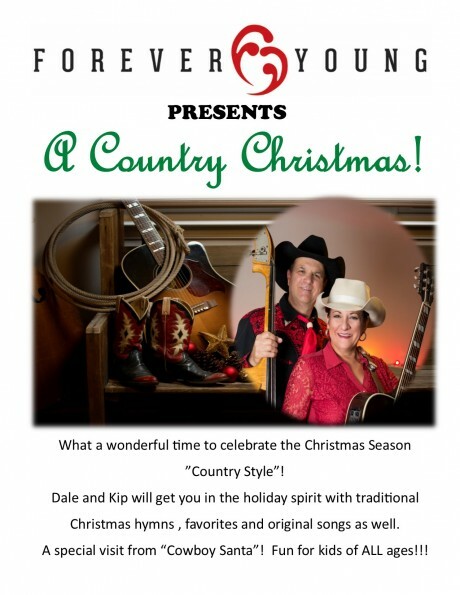 What a wonderful time to celebrate the Christmas Season “Country Style!” Dale and Kip will get you in the holiday spirit with traditional Christmas hymns, favorites and original songs as well. A special visit from “Cowboy Santa”! Fun for kids of ALL ages!! !